What Just Happened Here? The Life Cycle of a Local Project and Why You Never Saw it Coming, You Insensitive Bigot. By most reviews, the pilot project was an ugly and unmitigated disaster. But, undaunted, local government officials had replaced disaster reviews with a budget, fresh new name and a branding logo. It prompted the following fanciful examination of how “nowhere” is actually a well orchestrated plan by local officials, planners, affinity groups and activists – and how you, the taxpayer, aren’t really a stakeholder in such a venture. There are no persons, places or things specified here, because, let’s face it, shenanigans likes these occur everywhere. 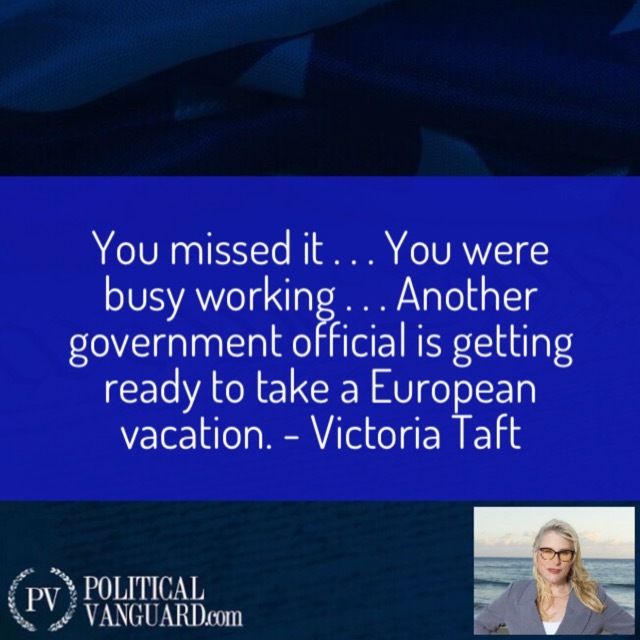 Local official takes vacation to Europe – usually Italy, Spain or France. Sees ( insert project here – eg: free bicycles, light/heavy/high speed rail, pissoirs, road diets, speed bumps, fountains, ‘smart growth,’ ‘green’ roofs, one-way or closing roads for fountains/art installations/‘pocket’ park/pedestrian-only purposes, water recycling, ‘sustainable’ anything, micro-space apartments/condos/parking spots, ‘smart’ cars, bans on straws or plastic-paper-recycled bags, etc) project mandated by socialist government. Chats with friends on same trip to confirm already-held beliefs. Goes to planner to chat up idea. Tips off idea of project to activist affinity group. Checks to see if another ‘progressive’ entity somewhere has done same thing with taxpayer funds and how ‘fantastically well’ things are going with the “cool” project. Calls a designer friend with government planning experience, who agrees to create pretty pictures of what project could look like. Tells ally (friend on trip) to bring up said project at the official meeting and alerts activist group to leave their current protests in order to pack chambers to speak in favor of project. Pretty pictures are brought to next meeting by government-friendly designer. Council members ooh and ahh at the pretty pictures. Original government official agrees to “champion” the ‘popular’ project. Designer, planners, environmental group, public official and friends on trip are declared to be ‘stakeholders’ for further ‘investigation’ of the future project. The plan is given an enthusiastic report at next meeting by the ‘stakeholders,’ who haven’t yet “run the numbers,” but possess ‘data’ on how ‘popular’ the idea is based on survey. Environmental groups are urged to leave current protests and pack the meeting where data are presented. More pretty pictures, now with official-looking dimension measurements included, are circulated at meeting. Project is christened with catchy name and a logo is unveiled. Reporter writes story on pilot project using the pretty pictures. Non stakeholders (that’s you) are annoyed. Stakeholders still “haven’t run the numbers yet,” but when pressed, admit that the project could cost anywhere between x and ∞x. Blowback of pilot project builds, letters to editor and Next Door reviews come in. PR person plants ‘story’ about ‘concerns’ that government official has about “insensitive, fascist, racist, homophobic” nature of opposition to project. Activists hold ‘informal’ picket in front of government building. Columnist writes piece on how shocked he/she is at the “insensitive, fascist, racist, homophobic” nature of opposition. Unnamed sources provide gauzy ‘anecdotes’ and an argument that failing to fund project will hurt poor women and minorities. The Metropolitan and Free Methodist Churches hold special service to pray for the ‘rights’ of poor and minorities whose rights would be “denied” should government money not be spent on this project. Local officials hold presser to declare that they won’t be cowed by “insensitive, fascist, racist, homophobic” opponents and that they will courageously support project. They are arrayed by civil rights groups. An affinity meeting to agitate in support of project is called to discuss the now “dangerous, insensitive, fascist, racist, homophobic” nature of opposition. Activists are asked to leave their current protests to pack meeting. Chant lyrics, protest signs and dinner are provided by SEIU Local 234. Purple shirts are encouraged. TV news covers meeting with special attention to ‘unofficial’ sources on Twitter reporting that possibly “armed and dangerous, insensitive, fascist, racist, homophobic” opposition plan to protest at meeting. Project organize event and announce that a conservative speaker will attend. A counter-protest is planned by ‘stakeholder’ groups and activists in opposition to the “insensitive, fascist, racist, homophobic”-run protest.” Al Sharpton announces that he’ll fly-in to lead the march and will personally oversee a religious church service for those who have died in recent acts committed by “insensitive, fascist, racist, and homophobic” people. The Westboro Baptist Church responds by announcing plans to counter protest in support of “insensitive, fascist, racist, homophobic” project opponents. The KKK announces plan to march against people who keep stealing their “insensitive, fascist, racist, homophobic” act. Supporters of the project announce that Lisa Fithian will hold workshops to ‘train’ counter protesters and to stop conservative speaker from speaking. Antifa announces plans to “beat the s***” out of the “insensitive, fascist, racist, homophobic” project opponents holding the protest and attack conservative speaker. The Proud Boys announce they’ll be at the event to finish anything Antifa starts. The ‘Lawyers Guild’ announces members will be at protest to give legal help to project proponents who plan to be arrested while counter protesting. Look for their lime green hats. Drum circle participants announce rehearsal schedule. Local police recommend denying permit to project opponents because the conservative speaker’s safety can’t be guaranteed. Project opponents announce that they’ll take their chances. Authorities require $3 million insurance policy, heftier permit fees and special private security guards for the evening event, which must now be held during the day. Local militia groups say they’ll provide security for free. The SPLC announces that ‘reliable source’ reveals that conservative speaker is secretly friends with Dr. Ben Carson. The Congressional Black Caucus accuses fellow members of stealing their act. “Fox and Friends” does segment on CNN’s unfair media coverage of project’s opposition. Trump tweets about how unfair the media coverage is. Sean Hannity announces plans to be at next meeting. Nancy Pelosi calls for an investigation into Trump’s connection with the project and its connection to mysterious Russian oligarchs. Hillary orders Fusion GPS to magic-up a dossier on the project to connect it to Trump. Pelosi calls for Trump’s resignation based on dossier. “Salon” tweets that not only are project opponents “armed, dangerous, insensitive, fascist, racist and homophobic” but, according to its ‘source’ on Twitter, they’re misogynists too. Media Matters reports that ‘source’ tells its ‘reporter’ that opponents plan to bring guns to their event. Linda Sarsour calls for Women’s Marchers to attend counter protest because of the “armed, dangerous, insensitive, fascist, racist, homophobic and misogynistic” nature of the opposition. Months later the government announces it approved its “Consent Agenda” which no one, except the government and project stakeholders (not you) knew about knew was on the agenda. It announces it will cost 10x. TV News covers with pretty pictures and excited planners. The newspaper does a splashy story with pretty pictures in Sunday’s edition. Opponents say, “How did this happen?” They form a group to officially oppose already approved project. Opponents find out that project doesn’t cost 10x or even 20x but 1000x! The newspaper editorializes that it’s a boondoggle, but that “isn’t it a pretty project?” And besides, the opponents were “armed, dangerous, insensitive, fascist, racist, homophobic and misogynistic” anyway. The judge writes in her opinion that, of course, the fix was in, but opponents are too late. Later, renewal funding comes up for the project. Opponents send out alarm again, but by now government says it’s an established program and it’s too late. SEIU Local 234 organizes march to excoriate opponents for being against living wage jobs and that the anti-worker opponents are “armed, dangerous, insensitive, fascist, racist, homophobic, misogynistic and privileged” people. Affinity groups tweet that opponents are “armed, dangerous, insensitive, fascist, racist, homophobic, misogynistic, anti worker and privileged” and announce boycott and doxxing of all opponents and their companies. Another government official is getting ready to take a European vacation.